Christoph Neuhaus is an unusual guitarist. Not at all like "cloned imitators". Rather a mind of his own, one who already knew at all times exactly what was good for him and what not. It was hardly the classic academic path anyway, although the 29 year-old from Stuttgart absorbed just about everything that he could get from influences, lessons, tricks and tips. Consequently and among other things so as not to become a second-rate jack of all trades on the guitar, someone who has mastered everything and consequently has a better chance of making a living due to his perceived versatility. "Every style, which I have tried, has really interested me," Neuhaus assured. "All the different contexts have ultimately enabled me to become free in my style. I have the feeling that it was good to take this path." Following "Directions" (2013) and "Matter Of 3" (2014; both Unit Records), this sum of styles can now be heard on “The Present & Path” by listeners without prejudices on his Double Moon debut. Christoph Neuhaus has never made a secret of the fact that the Guns N 'Roses guitarist Slash opened the door to the world of the guitar to him with a solo on a white grand piano in the song "November Rain”. Neither does he deny that he likes the great singer-songwriters as well as groove jazz or more modern styles, nor that he tried to imitate a David Gilmour Pink Floyd cover band at the start of his studies. He got his dazzling skills at the University for Music and Performing Arts in Mannheim from Frank Kuruc, at the Conservatorium van Amsterdam at the "Monster Players" from the “monster players” Jesse van Ruller, Martijn van Iterson and Maaren van der Grinten as well as in his Master studies program from Wolfgang Muthspiel at Basel College of Music. The curious Swabian met pros such as Peter Bernstein, Adam Rodgers, Steve Cardenas, Lionel Loueke, Steve Kahn and Gilad Hekselman and observed them very closely. He received private lessons in a Stuttgart hotel from the latter, and he visited others such as Kahn in his New York apartment. In addition, Bernstein spontaneously invited the young German after lessons to his gig in Brooklyn, where Lage Lund also joined them. A whole lot of influences. However, Christoph Neuhaus always kept a clear head about it. Especially the nine compositions on "The Present & Path” ("Poem [to Ourselves]” is provided in the standard version and as a radio edit) are a mirror image of his creative range, he stresses vehemently. "Because I want to sound like myself, never like someone I admire." This is the reason why none of the songs sounds like another on the CD recorded in May 2015 in the MPS-Studios in Villingen-Schwenningen and promoted by state of Baden-Württemberg as an "Innovation" project. One of the most interesting guitar sounds of young German jazz can develop in all its splendor thanks to his band on "Path4" with Andreas Feith (piano), Axel Kuhn (bass) and Axel Pape (drums), supported this time by the beguiling singer Fola Dada, the striking saxophone of Sandi Kuhn and tasteful cello interludes by Henrik Mumm. He considers it above all a statement, a uniquely identifiable code that clearly bears his signature. "I want to reach people without following trends. I am talking about a certain claim, but also comprehensible song structures that should not be somehow aloof or detached in any case. That's my goal: to find my own artistic voice that touches and is unmistakable. The greatest possible authenticity." 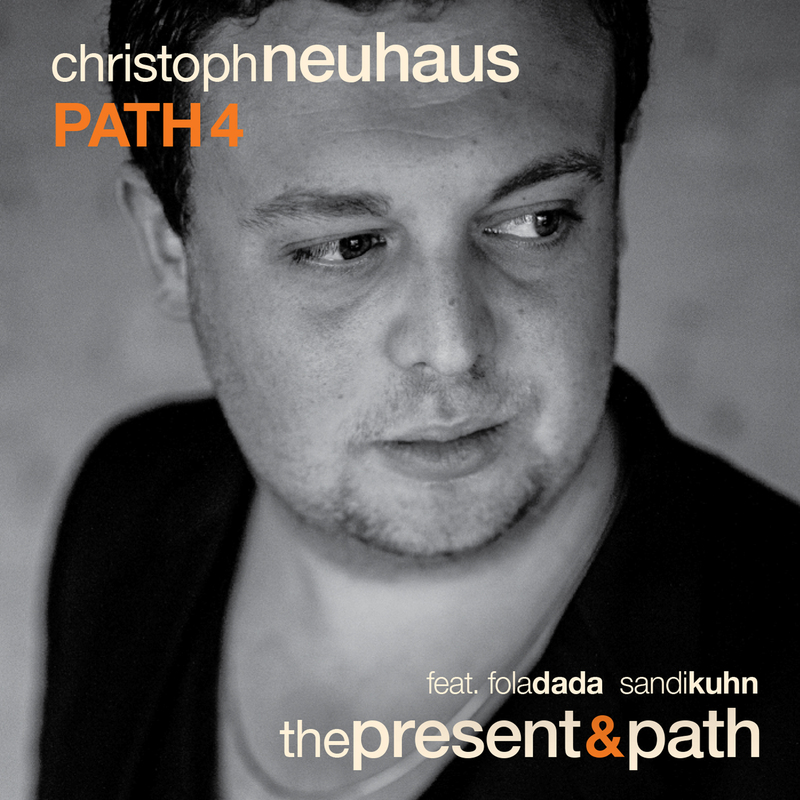 Christoph Neuhaus comes as close to this goal as never before with "The Present & Path”. The Stuttgart native guitarist presents his New Quartet and new compositions together with a superb line-up. Modern, groovy Jazz with a special attitude, perfectly put together for intense interplay and creative improvisations. "At yet the band leader slightly protrudes - the cristal clear sound, produced at the famous MPS studios in the black forest, is helping with this."" ""...is sometimes based on the pillars of classic jazz guitar, sometimes it picks up the pace towards groovy funk...", "...sound spectrum, which even in explosive moments emits calm and power.""